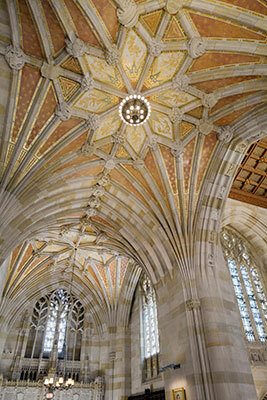 The Nave is a 13,000sf, 45-ft-high structure that serves as the main library’s sole public entrance. 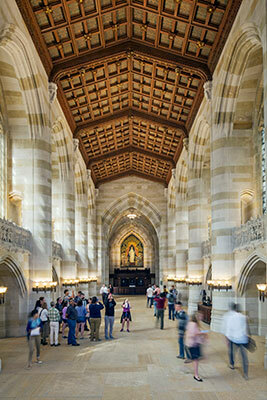 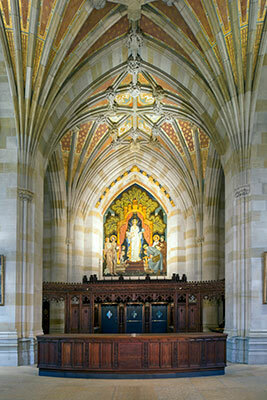 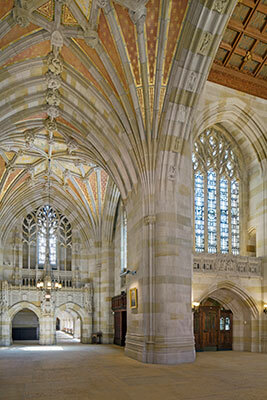 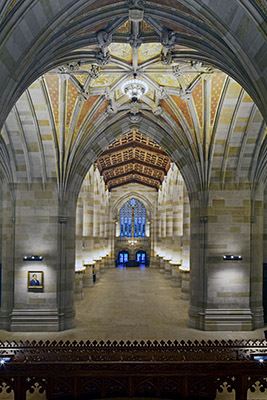 Although James Gamble Rogers designed much of Yale in the 1930s, this is the first complete renovation of the nave, his Collegiate Gothic masterwork. 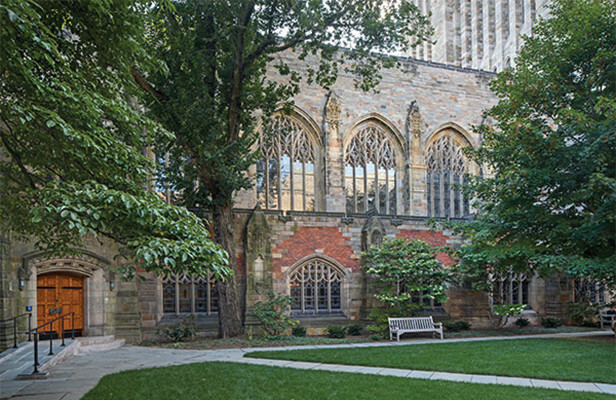 Yale’s mandate was to restore the Nave to its original splendor, accommodate and anticipate continuing rapid changes in library use, and also make the old and new indistinguishable. 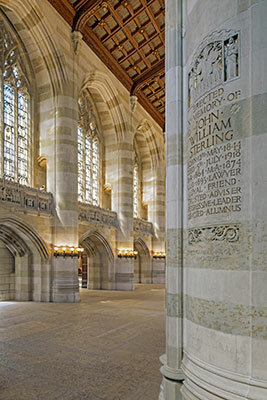 Accordingly, all the modern technology requirements – lighting, HVAC, CCTV, security, computer connectivity – are invisible. 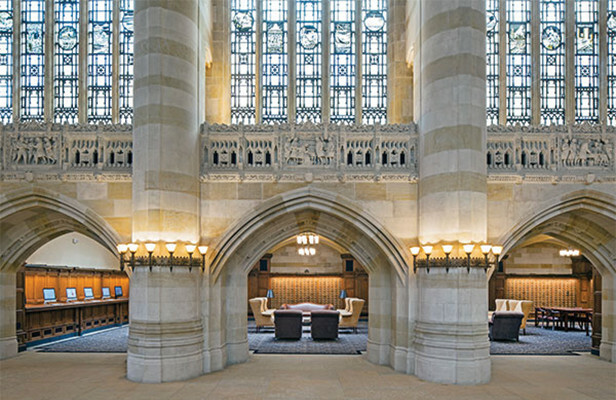 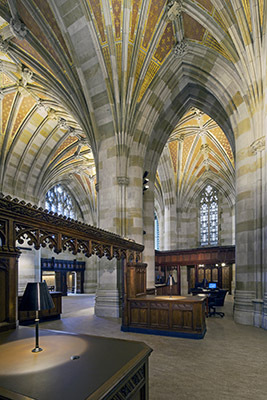 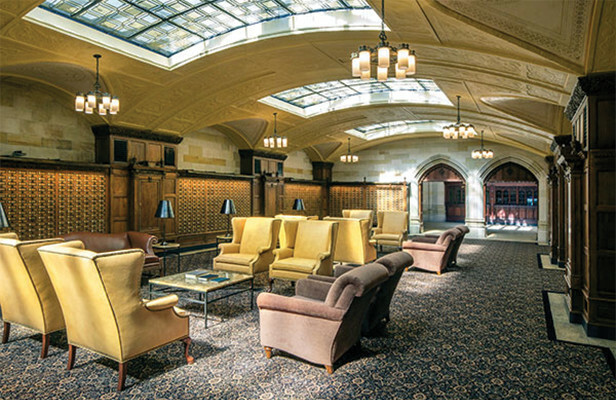 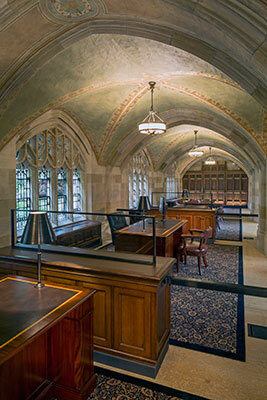 The head librarian has called it a “spectacular renovation.” The cover story about the Nave is in the November 2014 Yale Alumni Magazine. 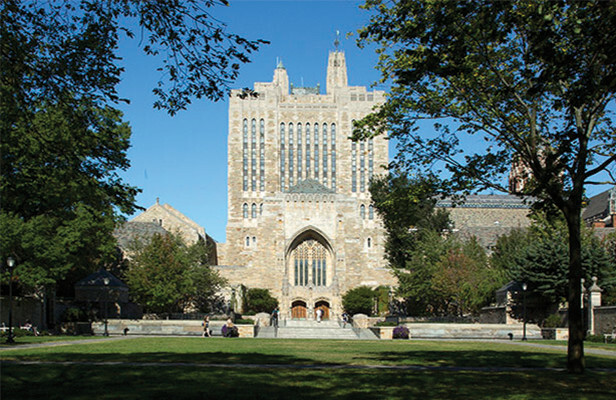 There is more information in our own news report.